I invented this one based on what I had around the house. Between the green kiwis and the mixed bag of carrots (white, purple and orange), I was expecting an ugly colour, but instead it turned this lovely pinkish orange (it’s almost a salmon in real life). 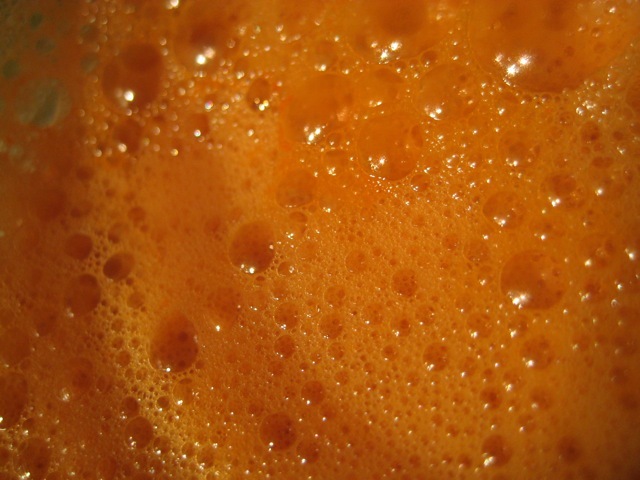 Four pears, six kiwis, six or so big carrots and a lime – made a lot of juice. The Beetroot Frappé is one of my favourite drinks at Fresh, and their cookbook includes a recipe. Ginger, beets, apples and carrots, blended up with nutmeg and ice. I skipped the blending part and just whisked in the nutmeg. Beets and carrots from Grow for The Stop via Fiesta Farms. Apples from Plan B. Also: pumpkin chia pudding is excellent folded into plain Greek yogurt and topped with maple syrup and pecans. 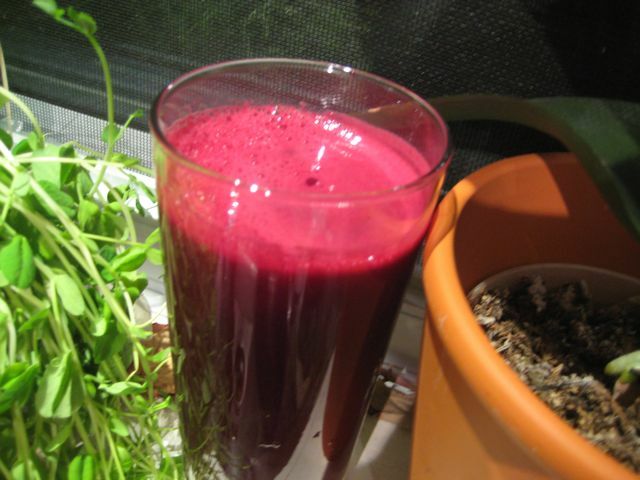 This is a citrus-cranberry blend (no beets this time) from The Juicing Bible. Grapefruit, lime and orange. Delicious! 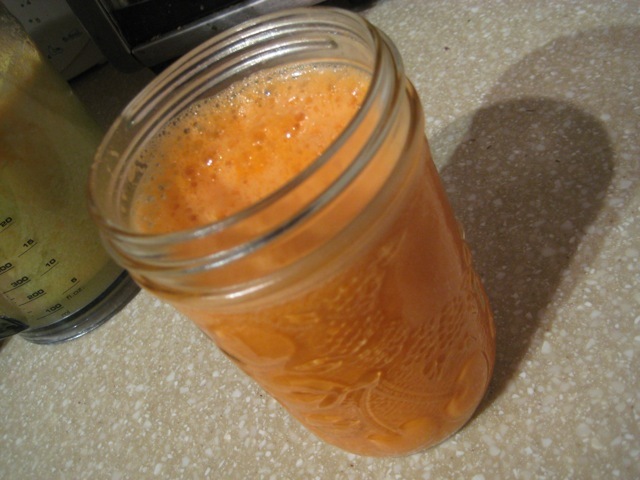 I love getting a power shot of vitamin C this time of year, and this is way healthier than chewing those tablets. 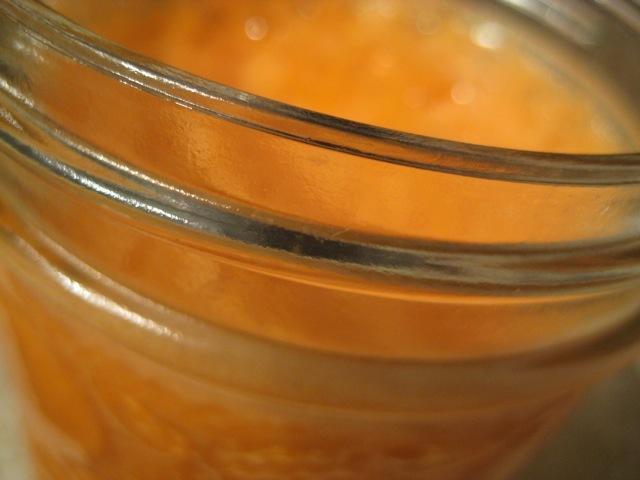 I had never even considered juicing sweet potatoes, until Doug McNish suggested it to me. Lo and behold there’s a recipe in my Breville juicer booklet for a sweet potato/orange/celery/ginger blend. Lacking oranges, I went with sweet potato/celery/pineapple, which was not bad at all. 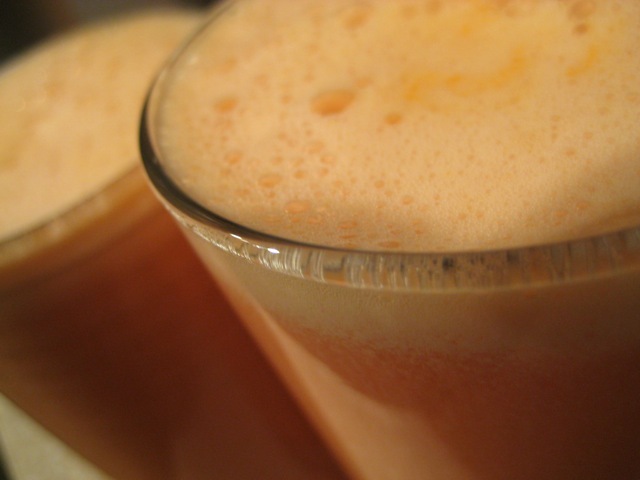 The sweet potato juice is very pretty and a little bit tangy, with a slightly starchy taste. On its own I didn’t love the texture (reminded me of bubble tea) but it blended really well with the pineapple. (Photos are all of straight sweet potato.) My taters were purchased at the Green Barn Market from… well, the sweet potato stall (can’t recall the farm’s name). Yum! 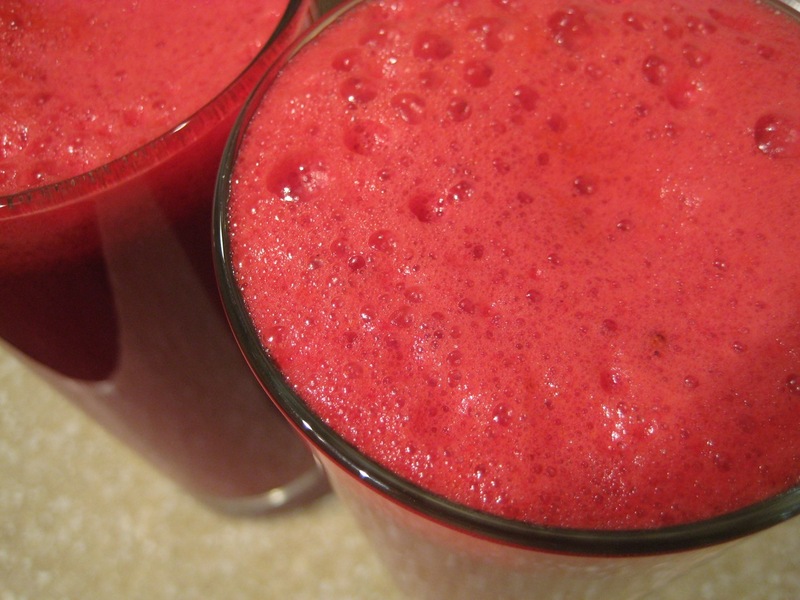 Four beets, four apples and a hunk of ginger. Excuse the terrible pictures, I’m going to have to come up with a nicer way to take photos of juice. But today’s my first day testing out the Breville Juice Fountain Plus, which the company kindly lent to me for a story for besthealthmag.ca. 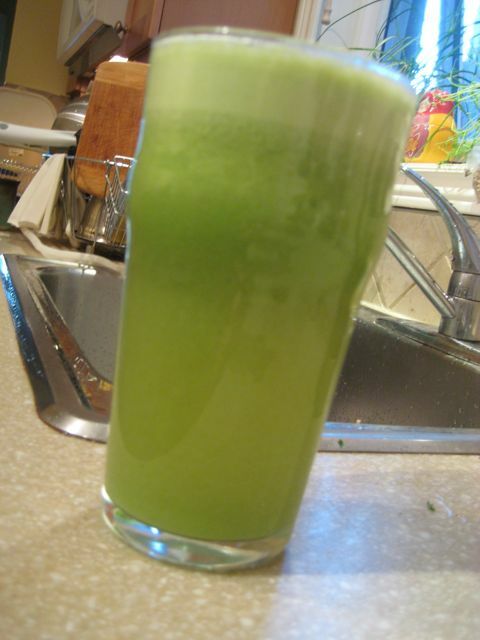 My absolute favourite juice is kale-apple-ginger, so that was my first attempt, preceded only by kale-pear-ginger for the household member who’s allergic to fresh apples. As you’d expect, the pear version was quite thick, but delicious. 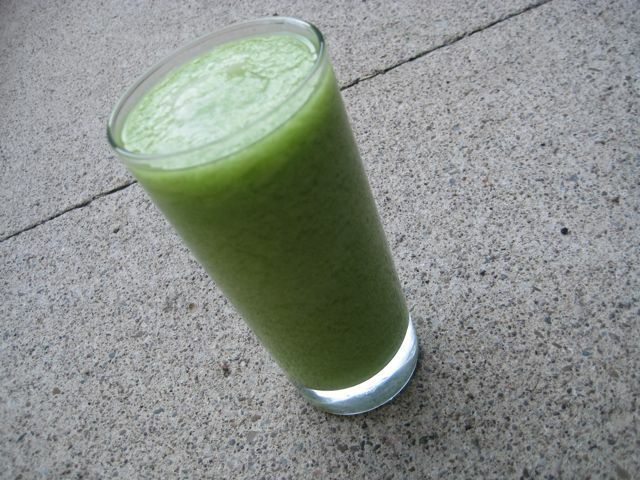 I think I did four pears, four or five stalks of kale and a few inches of ginger. 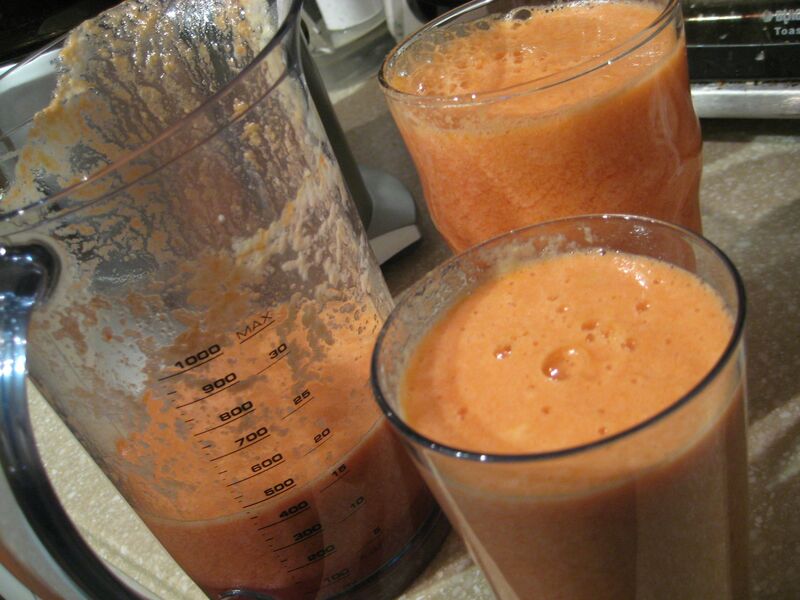 The juicer was super easy to use and easy to take apart to clean too – although like all juicers, cleaning it afterward is a bit of a pain. My only challenge was that there were a lot of chunks of kale leaves in the pulp container afterward, so it obviously wasn’t handling all the kale. I was alternating kale with apple like I’d read to do, but that didn’t seem to be enough. Does anyone have any tips for getting more green juice?